Monday, May 4, 2015, 7 p.m. INCREASED FEES FOR SERVICES It may not be the most eventful San Leandro City Council meeting ever and likely will not be one of the longest, but those who do business with the city might be interested in getting a first look at plans to raise some fees for services by 2.8 percent based upon the Consumer Price Index (CPI). Aside from some tweaks to the city’s fee schedule, changes include increases in the business licence tax from a base cost of $125; Emergency Medical Services tax risng to $16.54, based on the type of dwelling or business and the 911 fee, which is capped at over $11,000. THIS & THAT The value of San Leandro’s investment portfolio increased over the past quarter ending Mar. 31 by $3.6 million to almost $50 million, according to a report from Finance Director Frank Baum…An appropriation of $40,000 from the General Fund economic uncertainty fund to the Senior Service Budget will be decided to augment funding for senior education at the Senior Community Center…Councilmember Corina Lopez will nominate James Hussey as her District 5 appointee to the Planning Commission. CLOSED SESSION The City Council is scheduled to discuss the annual employee evaluation of City Attorney Richard Pio Roda. POMP & CIRCUMSTANCE San Leandro will proclaim May as “Older Americans Month,” along with next week as “East Bay Housing Organization’s Affordable Housing Week,” “National Police Week,” National Salvation Army Week” and May 14 as Bike to Work Day. Ed Shapiro will be appointed to Recreation and Parks Commission. An update will be given on 106th Cherry Festival scheduled for June 6. LAST TIME OUT The council quickly approved a proclamation in memory of San Leandro Police Capt. Ed Tracey, who passed away just days before from cancer. An appropriation of $400,000 was unanimously approved to support city services for the homeless. In addition to Tracey, the meeting was adjourned in memory of Norma Ann Rutledge, the mother of former San Leandro Councilmember Joyce Starosciak. 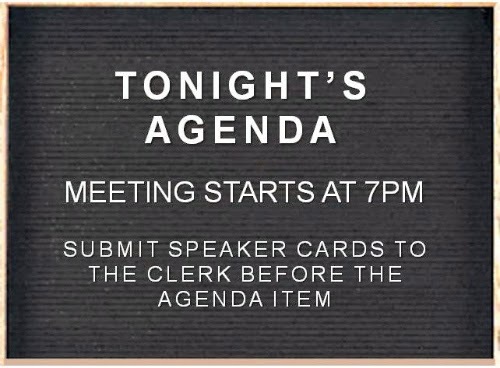 >>>WATCH IT HERE>>>Next council meeting: Monday, May 18, 7 p.m.
ALMANAC Mayor Pauline Russo Cutter (first term, ends 2018); Councilmember Deborah Cox (first term, ends 2018); Councilmember Ursula Reed (second term, ends 2016); Councilmember Lee Thomas (first term, ends 2018); Councilmember Benny Lee, first term, ends 2016); Councilmember Corina Lopez (first term, ends 2018); Vice Mayor/Councilmember Jim Prola, District 6 (second term, ends 2016). Posted in Agenda Notes, Corina Lopez, fees, Joyce Starosciak, san leandro, san leandro city council, seniors. Bookmark the permalink.